Clears up space in closet! I have quite a few pairs of slacks, and a small closet. 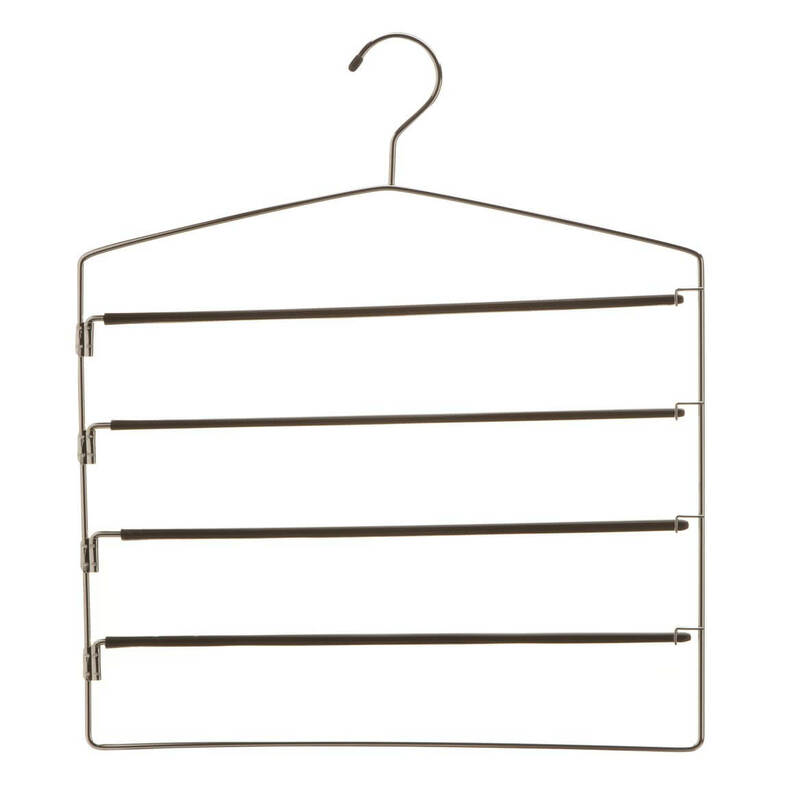 These hangers are perfect for creating more closet space. The slacks don't get squashed, and wrinkled anymore. 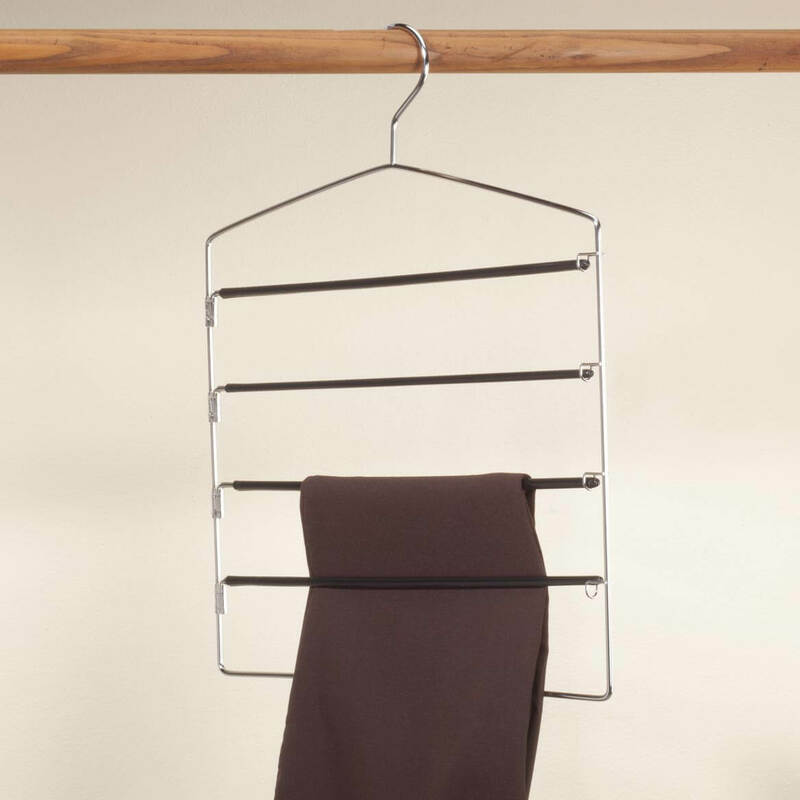 to hang my dress slacks on. these will help free up closet space in my grand childrens bedrooms. To save space in closet. We plan to use these in our RV when traveling. I have used these pant hangers in the past. Cannot find them in stores. Is this only 1 hanger for that price? BEST ANSWER: Thank you for your question. Yes the price includes one hanger. We hope this information will be of help to you. 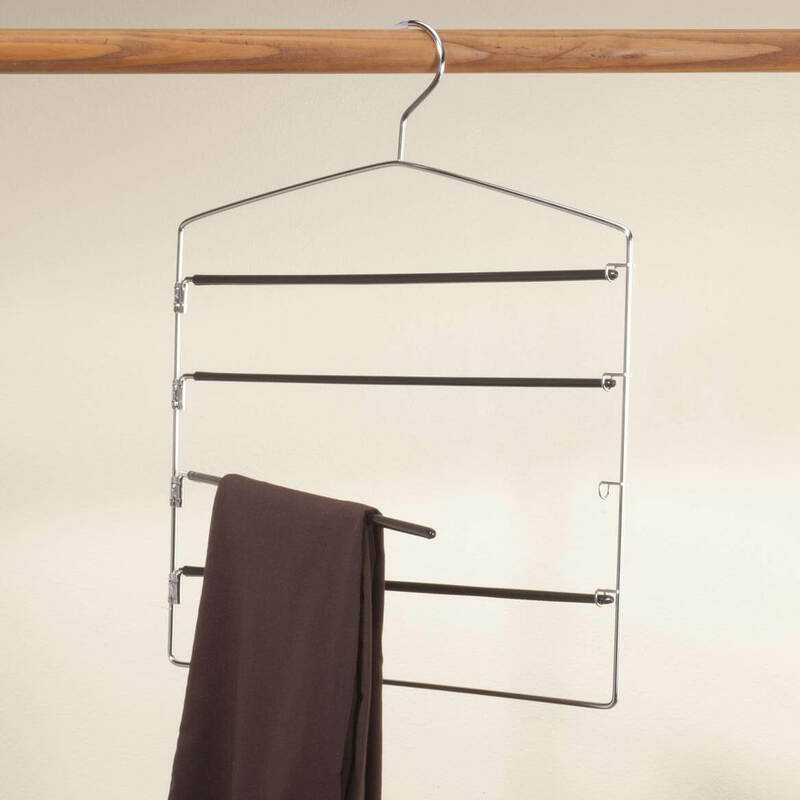 This is a single hanger with four swing-out arms that will hold 4 pair of slacks.